Complete listings of all Warren publications, including full contents, full indicia information, and any relevant historical or background information. A complete listing and description of all Warren-related merchandise. A comprehensive list of publications that reprinted Warren material. 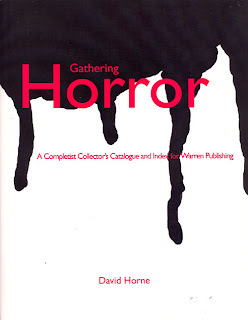 The first detailed, comprehensive list of foreign Warren reprint or related publications. 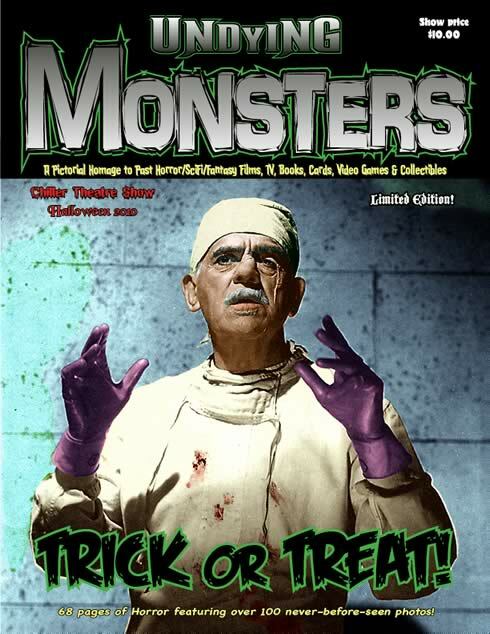 An extensive section devoted to books and magazines that included information about Warren Publishing. 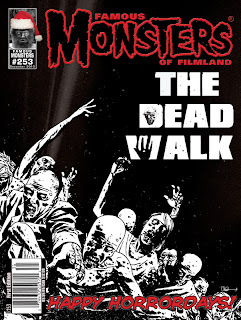 Over 100 pages of appendixes, featuring writer, artist, and editor indexes for Warren titles; title indexes for both comics and movie-related magazines; feature indexes for the movie-related magazines ("You Axed For It," etc. 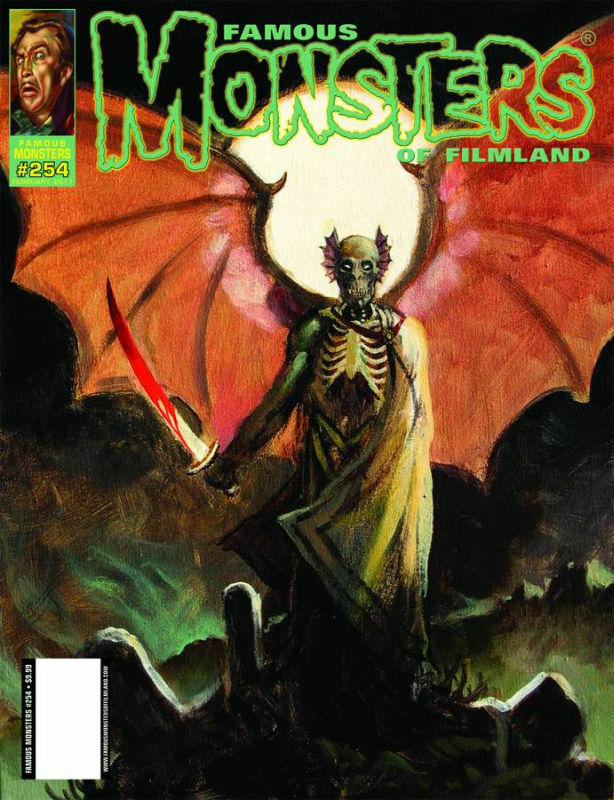 ); and a Warren chronology featuring issue pub dates, among other things. Also added to the "Books" section (indexes). 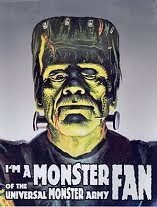 The first post of 2011 and possibly the last, as I just can't think of anything else I want to do with this blog? I really only wanted a place to put the contents of the old cover scan site and a few pics of interesting monster mag related ephemera, etc. 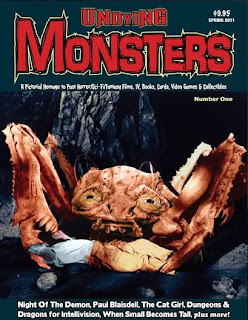 It was never my intention to post about the current monster mag scene (even though I have been posting those FM covers) and John has that covered on Monster Magazine World, so, unless I find something interesting to add to the archives, I guess I'll be seeing you at MMW and the UMA! Here's FM 254 the newsstand cover. For a mag not yet released. The artist (Jason Edmiston) provides a BTS look at the upcoming finished cover art for FM #254. What think you now? Who says print is dead! Well, a lot of people, but here's one more new mag, at least. 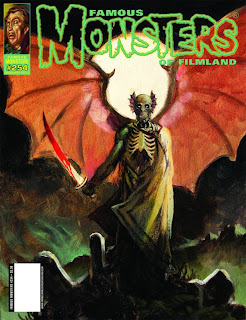 Here are the covers for the first two issues of Undying Monsters. The "limited edition" (500) issue was a Chiller Theater show exclusive (available from Scary Monsters while suplies last) and issue #1 comes out in Jan. You'll soon be able to order from the website, where you can read more details. 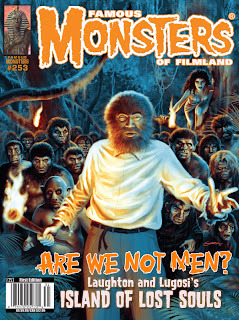 Over at MONSTER MAGAZINE WORLD there is an interview with me (zzzzzzzzzzzzz). 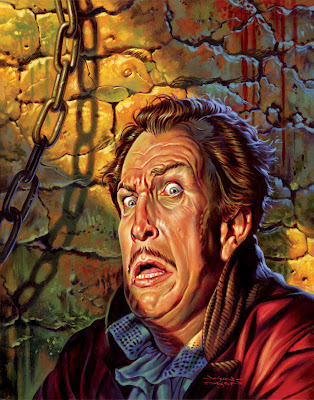 If you get bored halfway through, there's lots of interesting stuff on the site! Well, here they are! All four covers, including a varient of a varient! 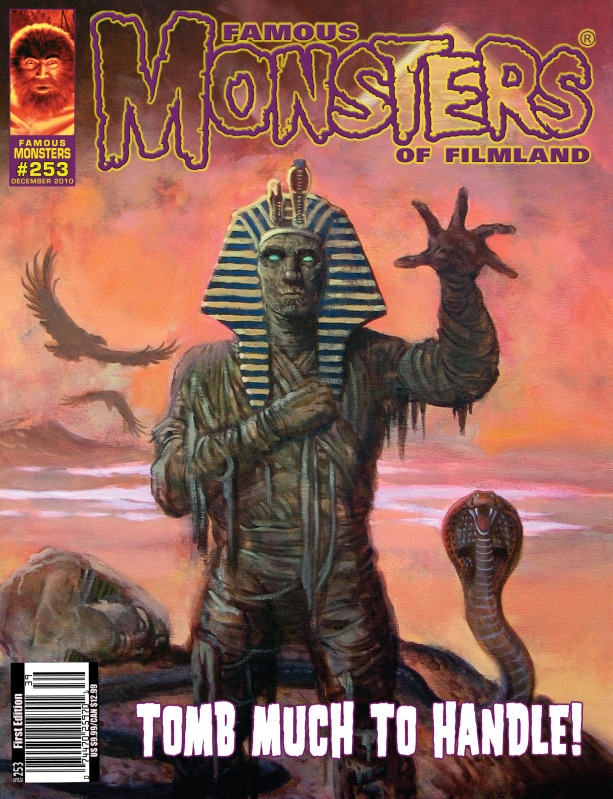 The Kerry Gammill Island of Lost Souls is the subscriber and comic book store cover. 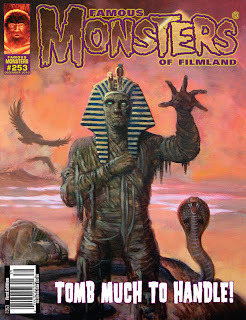 The William Stout Mummy is the comic book store "incentive" cover. 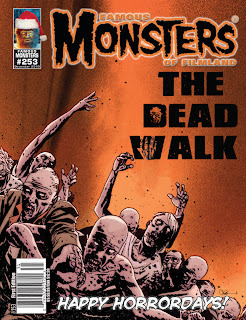 The Charlie Adlard The Dead Walk is the newsstand cover(s). 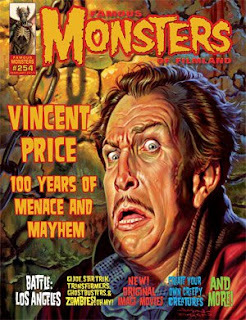 Monster Magazine reader and collector for more than four decades. 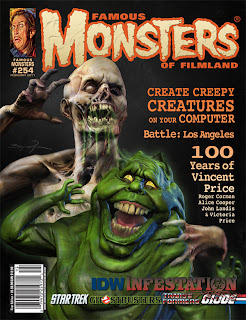 This blog replaces the former website Monster Magazines - The First Decade. Topps' 1959 "You'll Die Laughing"
All book and magazine covers on this site are copyrighted by their respective publishers.